Do High Heels Really Cause Hammer Toes and Bunions? An average, healthy person should try to take 8,000 to 10,000 steps a day, adding up to about 115,000 miles in a lifetime. By age 70, the average person will have walked the equivalent of 4 times around the globe. Unfortunately, many miles are walked in uncomfortable shoes that do not fit properly and cause pain and foot problems. Shoes that are too tight, too loose or without enough support can lead to unwanted stress on the feet, ankles, lower leg, hip, and spine. Seventy-five percent of Americans will experience foot health problems of varying degrees of severity. About 19% of the U.S. population has foot problems each year. Many foot-related problems can be prevented with shoes that are appropriate for an individual’s feet, body, and lifestyle. Over time, wearing high heels with a narrow toe box can cause the foot to take the shape of the shoe, causing hammer toes, corns, bunions, knee pain, and lower back pain. High-heeled shoes place tremendous pressure on the fat pad under the ball of the foot, forefoot. The higher the heel the more pressure on the ball of the foot and a higher likelihood for injury. An ideal choice is a shoe with a wide toe box and two-inch or lower heel. 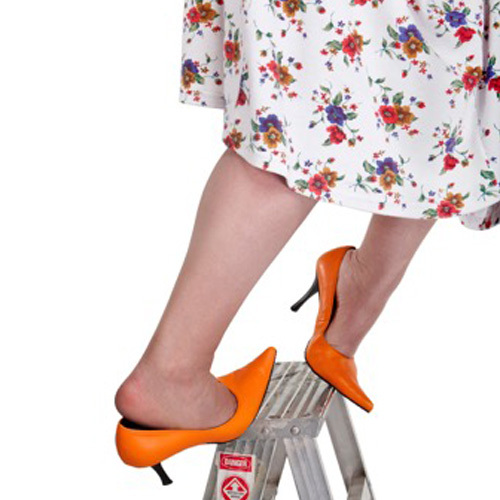 If higher heels are preferred, shoes with a platform under the toe box decrease the overall stress on the foot. While popular in summer, sandals generally do not offer much foot support and stability. A “flip flop” sandal puts stress on the toes because toes grip the shoe to keep it on while walking. Sandals with one or more straps to secure around the ankle add stability and a cork midsole is more supportive than a rubber sole. Purchase shoes toward the end of the day for best fit because feet swell up to 8%. Select and wear the right shoe for specific activities. Don’t wear the same pair of shoes every day. Alternate. Don’t ignore foot pain — it’s not normal. If foot pain and discomfort persist, surgery may be necessary. Discuss foot problems with the orthopedic surgeons at Direct Orthopedic Care. The DOC location link is available on the home page, directorthocare.com.